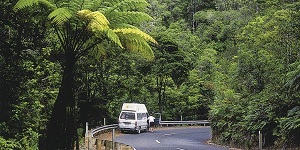 Whilst more compact in size New Zealand has such a diversity of attractions and interests that knowing how and where to allocate your days is a challenge. At Aspire we understand, read our travel ideas, check out our package and honeymoon suggestions and then speak with one of us and together we can work out the itinerary you always wanted. 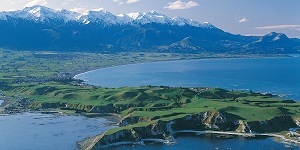 The coastline of New Zealand is stunning, pristine beaches, memorable walks and wildlife. 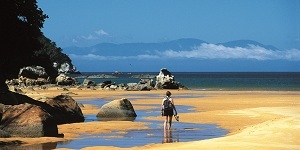 The diversity of the coast will have you reaching for your camera time and again – the Abel Tasman National Park, the Bay of Islands, the Coromandel, the rugged South Island west coast, the black sands of Auckland, an endless list to enjoy. From sub-tropical northland, the volcanic topography of the majority of the North Island to the majestic Alpine peaks and deep fjord coastline of the South, New Zealand is one long scenic indulgence. It’s one of the most beautiful countries on the planet, with more than a third protected as a national park or nature reserve. Superb home grown produce and local seafood, treated with respect by innovative chefs and backed by award winning wines, particularly from Hawke’s Bay and the Marlborough area. 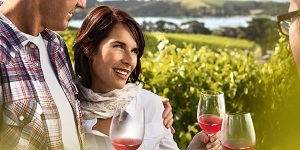 For the gourmet traveler New Zealand will delight and surprise in equal amounts. The country’s selection of luxury accommodation is astounding. 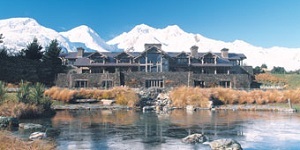 Most famous are the lodges, a unique collection of properties, many with a historic pedigree and often located in secluded, off-the-beaten-track locations as well as the boutique bed and breakfast options which offer distinctive flaors and charm. A haven for outdoor activities from the adrenaline pursuits such as bungy jumping and sky diving to the softer adventures including sea kayaking, cycling and fishing. The hiking includes some of the most famous trails in the world including the Tongariro Alpine Crossing, Abel Tasman National Park, Franz Josef glacier hiking and the Fiordland National Park. There’s no finer way to appreciate New Zealand’s scenic grandeur than by self driving. Whether you travel by car or motorhome, you’ll relish the freedom of the open road – especially since you’ll have to share it with so few people. Roads are good and places are easily accessible, once at a destination park up the car and explore. The Maori people are the indigenous people of Aotearoa (New Zealand) and first arrived in waka hourua (voyaging canoes) over 1000 years ago. Maori is an oral culture rich with stories and legends, experience a traditional hongi (welcome) and hangi (dinner) whilst enjoying MaÂÂÂ ƒâ€š ‚Âori music and dance. While the rail journeys in New Zealand are shorter in comparison to Australia, they certainly provide an amazing vista. 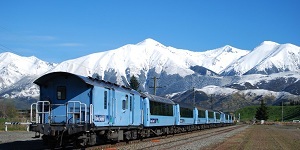 The TranzAlpine railway scores high on its show of scenery, which changes so dramatically from flat farmland to alpine surrounds to the pine forests and rugged west coast.